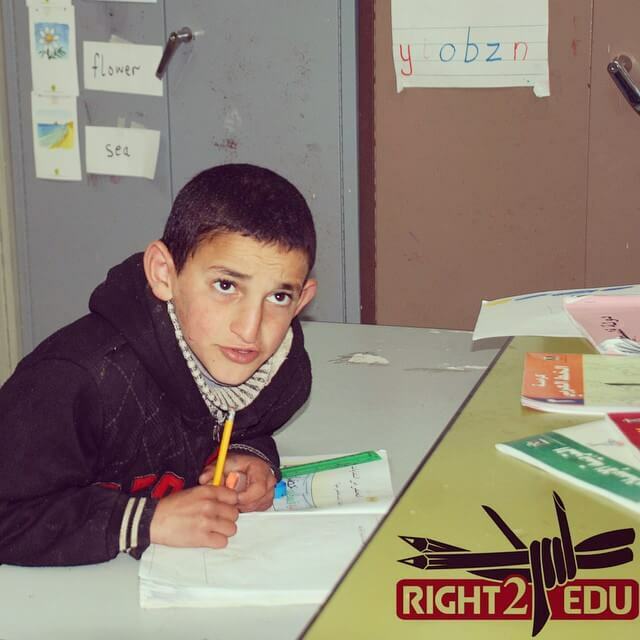 The Qurduba School in the occupied West Bank city of Hebron is once again a target for harassment by Israeli occupation forces, as new restrictions on freedom of movement bring a wave of settler attacks and soldier violence. 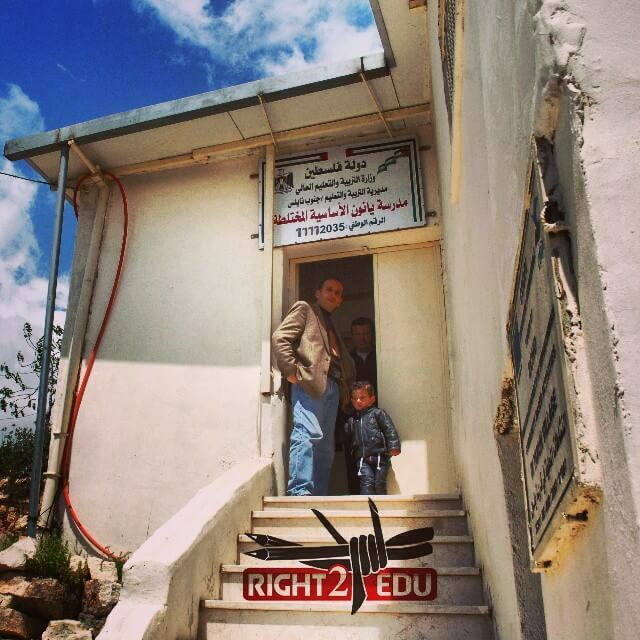 Established in 1984, the Qurduba School sits surrounded by five Israeli settlements on a hilltop in central Hebron. To get to school every morning, pupils between the ages of 6 and 13 — and their women teachers — must navigate a maze of checkpoints and dangerous settler-inhabited streets. Curfews, checkpoints, land confiscation, home demolitions, army and settler harassment, and other aspects of occupation within Palestinian life in Hebron intensified after February 1994 when extremist Israeli settler Baruch Goldstein, from the nearby settlement of Kiryat Arba, gunned down 24 Muslim worshippers at the Ibrahimi Mosque in the center of Hebron. In the years following the massacre, the mosque was split into two parts, becoming half-mosque, half-synagogue. In 1997, the settler-populated area around the religious compound was cordoned off by Israel as H2, designating full Israeli military control, while the rest of Hebron was designated as H1, and remains under administration of the Palestinian Authority. 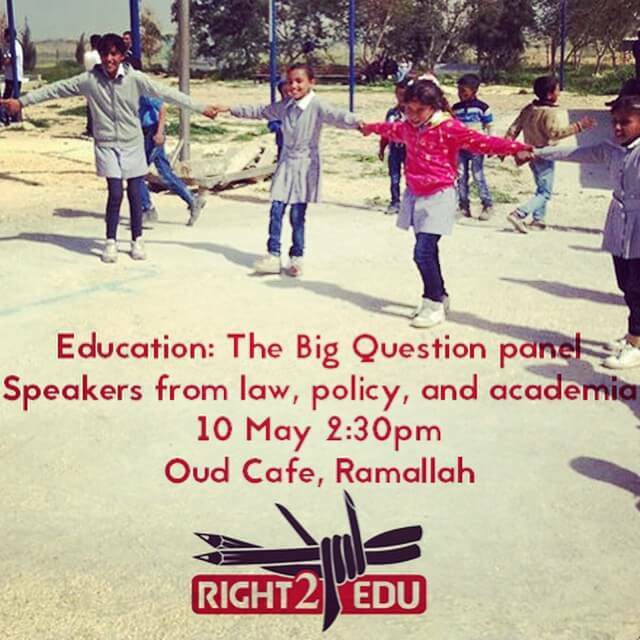 Since 2005, teachers with the Qudruba school coming into the Israeli-controlled H2 district from the H1 area of the Old City had secured the right, through demonstrations, to bypass the daily metal detector scans and bag inspections at the checkpoint. Instead, they were able to pass through a side gate to reach their school. In response to this injustice, teachers refused to submit to inspection, and held a demonstration with more than one hundred of their students, who left their empty classrooms to join their teachers at the checkpoint. In a shocking display of brutality, Israeli soldiers sent nine children to the hospital with injuries. 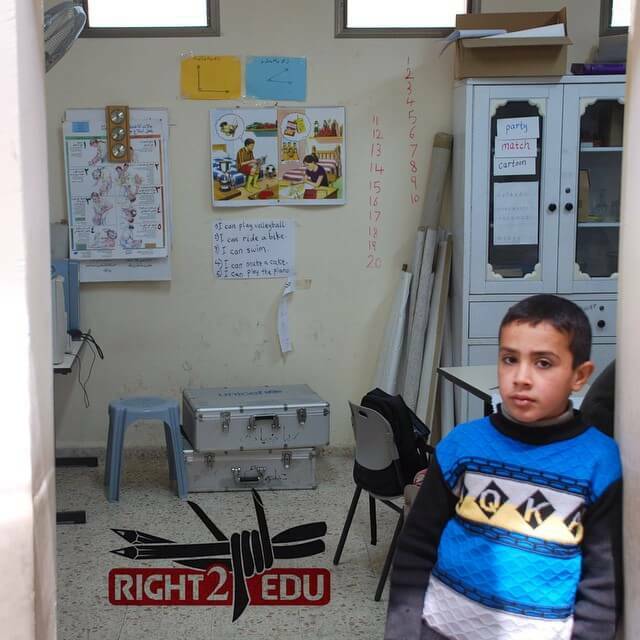 Eleven-year-old Yazan Sharbati, who was injured that Tuesday, told the International Solidarity Movement that “the army told us to go back to school, and we told them that without teachers there is no school … I was so afraid that something bad was going to happen. The soldier pushed me very hard” (“Hebron school demonstrates for third day: “Without teachers there is no school,” 13 October 2011). The brutal repression of the 11 October checkpoint protest struck a chord in the Hebron community, and inspired an outburst of support in a city all too accustomed to violations of the right to freedom of movement. 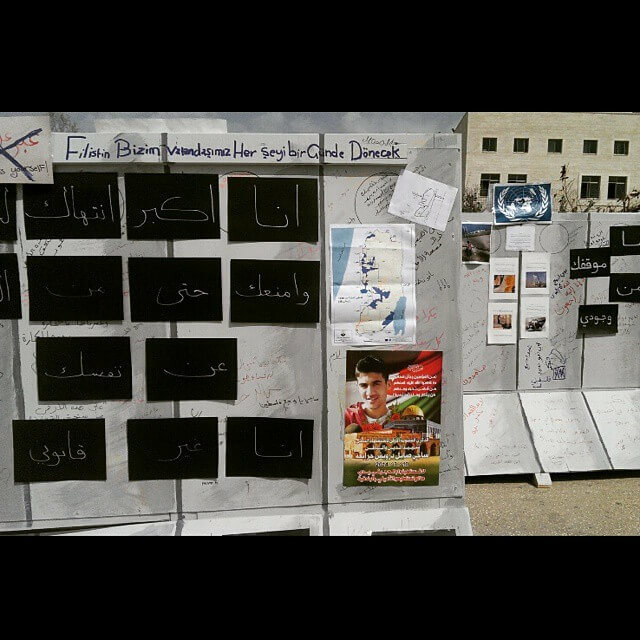 Over the next two days, community members and representatives from the Hebron governor’s office, along with the director of education in Hebron, stood in solidarity outside of the checkpoint with the students and teachers of the Qurduba School, who held the school day’s lessons outside of the checkpoint. On the third day of demonstrations, soldiers projected the high-LRAD sound cannon, nicknamed “the scream,” and fired rounds of tear gas to forcibly scatter the crowd. One teacher was arrested, and five students and demonstrators were injured. 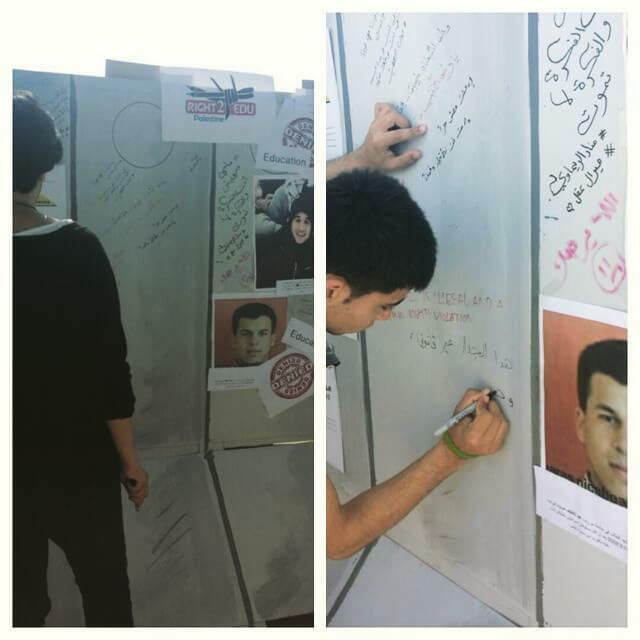 Students, teachers and demonstrators returned to the checkpoint — Checkpoint 56 — every morning for two weeks. “During this period,” said al-Jondy, “many establishments tried to help us, but we got only promises, without solutions to our problem.” Though settlers had little to do with the events, the protests also inspired many settler attacks, as Palestinian news agency WAFA reported (“Settlers, soldiers continue attacks on Hebron schools,” 20 October 2011). Inside the Israeli settlement of Tel Rumeida, said al-Jondy, “the settlers began to warn us … that they will settle in the empty school, and keep us away.” To save the school, coveted by settlers for its strategic hilltop location, the few teachers who lived inside H2, and did not encounter the checkpoint during their commute, reopened the school, while the other 13 Qurduba School teachers kept up a daily vigil outside the checkpoint. 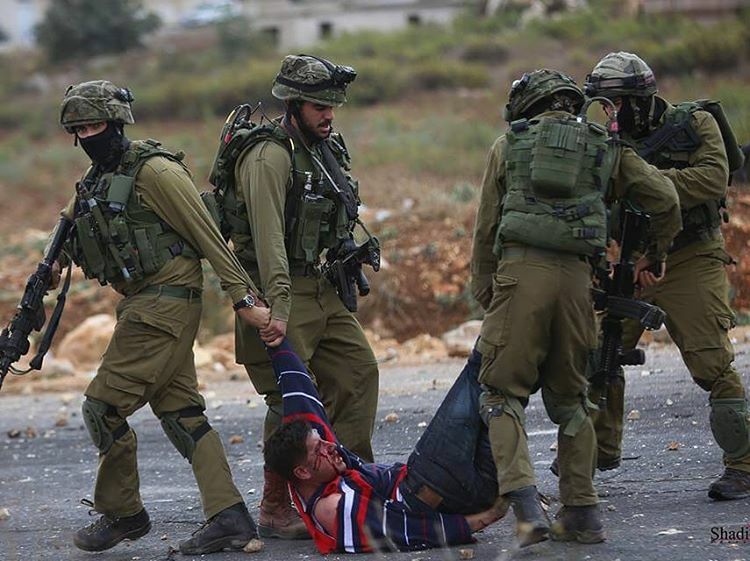 Defence for Children International-Palestine Section (DCI-PS) stated in a 2008 report about the situation in Hebron that the area around the school and the settlements “is often the scene of violent confrontations” between Israeli settlers and Palestinian schoolchildren. 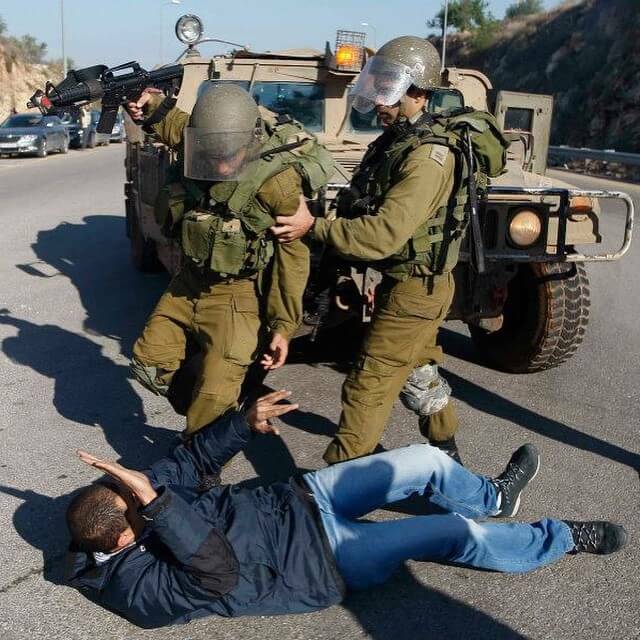 “Settler schoolchildren … routinely verbally harass, chase, hit and throw stones at Palestinian schoolchildren under the watchful eyes of Israeli soldiers. Their parents and other adults engage in similar behavior, blocking the school steps with their cars to make it difficult for students to pass or setting their dogs loose to chase and terrorize young children” (“Under Attack: Settler Violence Against Palestinian Children in the Occupied Territory,” November 2008 [PDF]). Hebron has been under occupation since 1969, when the first religious settlers, who had barricaded themselves in a downtown hotel room and refused to leave, were coaxed out by the Israeli military and given the nearby settlement of Kiryat Arba. Ten years later, the act was repeated in an abandoned hospital, and this time Israel allowed the squatters to settle in downtown Hebron. Restrictions on Palestinian life in Hebron accelerated after the 1994 massacre, and the expulsion of Palestinians and their livelihoods from the heart of Hebron’s Old City became an institutionalized process after the area became Israeli-controlled H2 in 1997. Now, at least 500 settlers and at least 2,000 soldiers have shut down Shuhada Street, the economic heart of both Hebron and the entire southern West Bank. The gradual takeover of Shuhada Street, beginning in the 1980s and culminating after the second intifada, has turned the once-bustling marketplace into a ghost town, and has caused the (often forced) abandonment of over 1,000 housing units and over 1,800 shops and storefronts — which now, in a cruel and ironic twist of history, are graffitied with the same Stars of David that once marred Jewish storefronts in 1930s Germany. Settlers also frequently attack the school itself. To cite one of myriad examples, Ma’an News Agency reported in November 2007 that “right wing Israeli settlers broke into the courtyard of the Qurduba school … attempted to set fire to the building … attempted to rip the doors off the building and succeeded in knocking over walls, trampling flower beds and blocking the path to the school with rocks … a group of children, armed with axes, attempted to break the water pipes that supply the school. They were urged on by their teacher” (“Israeli settlers attack girls’ school in Hebron,” 26 November 2007). 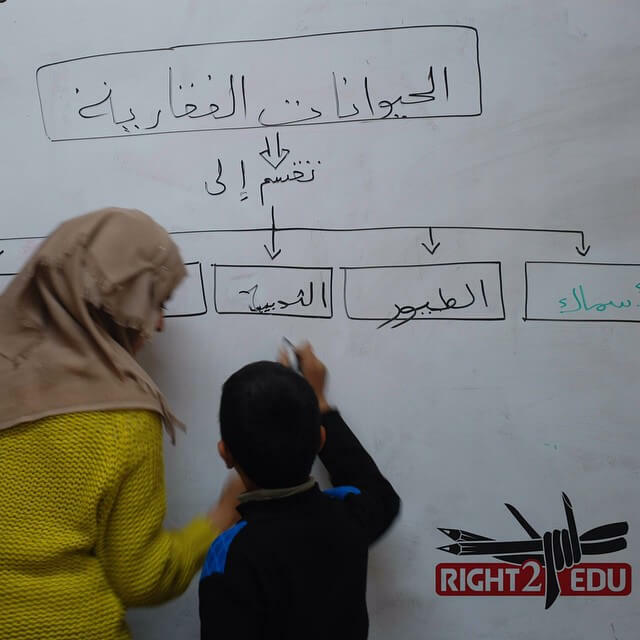 In 2008, a previous director of the Qurduba School, Reem al-Shareef, moved the school’s start time from 8:00 to 7:30am, so the students would not be harassed by the settler children as the latter headed to daily study at their yeshiva. Today, because teachers and administrators must take a long route to avoid Checkpoint 56, “it takes about 45 minutes to reach the school,” said al-Jondy, “so most of the teachers come here late. Three of the teachers have injured themselves because of the new route. One of them hurt her leg, one hurt her back.” Because teachers are late, it is harder to enforce the 7:30 start time, leaving teachers and students once again vulnerable to early morning settler attacks. 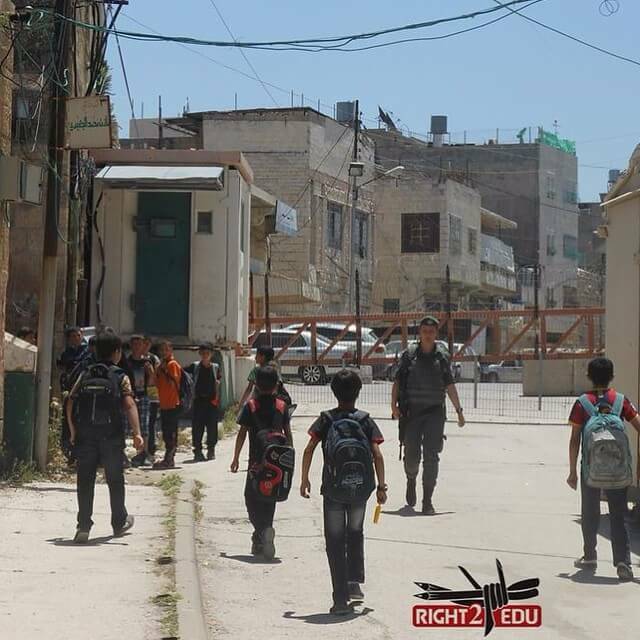 For now, the Qurduba School is pushing the Hebron municipality, as well as organizations like the Temporary International Presence in Hebron, to demand that the Israeli military ease its draconian restrictions of freedom of movement, not only for teachers but for all residents of Hebron. In the meantime, resilience, steadfastness and hope remain the driving forces, in spite of the occupation, that keep the Qurduba School open day after day. 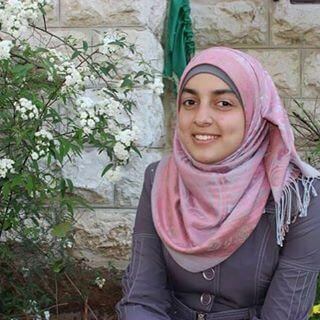 Badia Dwaik, a Hebron resident and the deputy coordinator of the local activism group Youth Against Settlements, told The Electronic Intifada that the students and teachers of the Qurduba School have begun peaceful protests against the new closure policy. Ben Lorber is an activist with the International Solidarity Movement in Nablus. 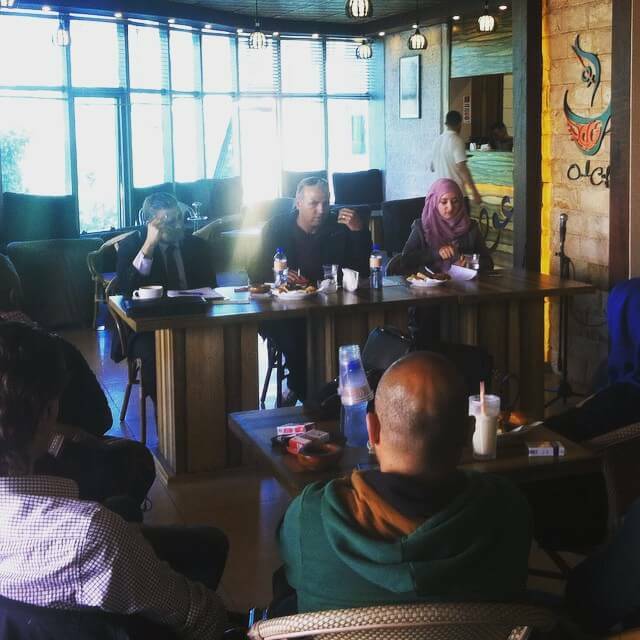 He is also a journalist with the Alternative Information Center in Bethlehem. He blogs at freepaly.wordpress.com.